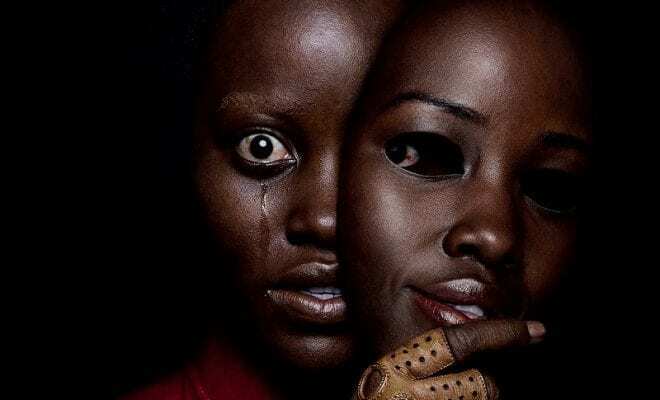 Jordan Peele’s latest horror master piece turns the “fun” of a funhouse mirror on us. Accompanied by her husband, son, and daughter, Adelaide Wilson (Lupita Nyong’o) returns to the beachfront home where she grew up as a child. Haunted by a traumatic experience from the past, Adelaide grows increasingly concerned that something bad is going to happen. Her worst fears soon become a reality when four masked strangers descend upon the house, forcing the Wilsons into a fight for survival. When the masks come off, the family is horrified to learn that each attacker takes the appearance of one of them. Jordan Peele made quite a surprising splash with his directorial debut with 2017’s Get Out. The horror-thriller was such a major success that it got Peele an Oscar for his screenplay and established the former Key and Peele comedian as a rising filmmaker. Now, people are a little more prepared for Peele’s second movie Us. Lupita Nyong’o is the main star of this film. Her performances as both Adelaide and her dopplganger is amazing in every way. Nyong’o truly knows what it takes to be creepy and a badass action star and she is just phenomenal. Winston Duke provides the comic relief of the film and does it brilliantly.The kids also do a fantastic job at acting scared out of their wits, scary audiences out of their minds. Funny enough, this isn’t the first time Nyong’o and Duke have starred alongside each. The two starred in last year’s hit film Black Panther. Us is definitely more of a psychological thriller than a horror film. It makes you think but also keeps you on the edge of your seat. That’s pretty much what makes this film so appealing. Sometimes unpredictability can hurt a film, but Us gets it right. There were some parts that dragged on a bit, but the film still had my attention until the credits rolled. Overall, Us is an insane and enjoyable horror movie. It has some laughs to balance out the scary parts. This film once again proves that Jordan Peele has a serious knack for this genre. What did you think of Us? Sound off in the comments section!